From the Far East to the Western world, from ancient cave dwellers to modern revellers, masks have been used to hide the wearer's true identity. They have been worn to increase dramatic effect, ward off evil spirits, enhance bravery and bestow authority. 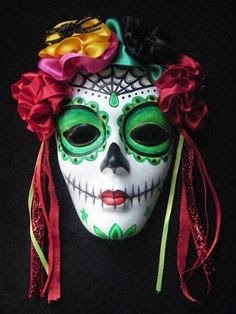 Masks change the appearance and the emotions. They are powerful amulets and since ancient times, have held an important place in carnivals and religious festivals. The wearer of a mask can do anything. He has a special power which allows him to be whoever he wishes. Evidence of masks used during hunting have been found in cave paintings in Southern France, dating from 15,000 BC, and on rocks painted by South African Bushmen. 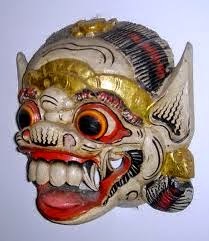 Masks have been made in a variety of materials, such as stone, wood, precious metals, fibre or hide. They have been decorated with feathers, shells, beads, mosaics, intricate carvings and vivid colours. They are full of symbolism and are instruments of authority. In Africa, only men were allowed to wear masks, even if they represented a female. Masks were considered dangerous to women who had to keep their distance even during public appearances. Likewise, only men could make the mask. Masks blur the boundaries between spirit and human and between the past and the present. 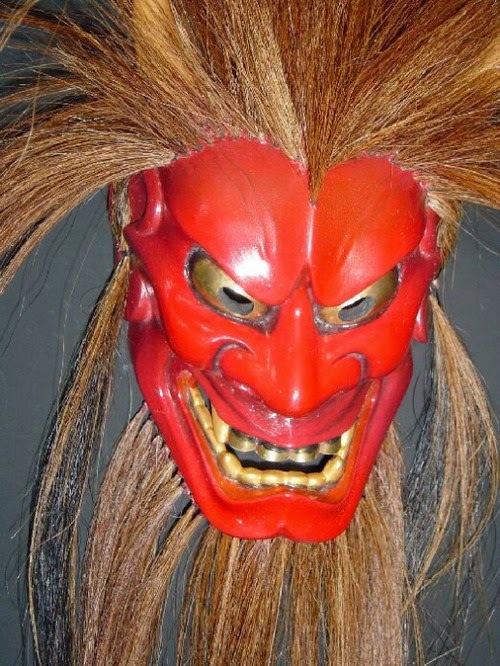 Spiritual healers use masks, often larger than life, to inspire awe and fear. They are an important part of the ritual surrounding life and death. 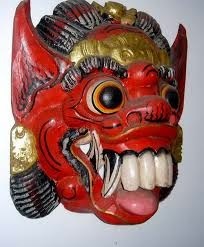 In Sri Lanka, demon spirits, responsible for causing disease are driven out by dancers wearing masks representing a number of deformities, in a 'Sanni' ceremony. in some cultures masks are worn to give identity to ancestors, to allow them to return and participate in earthly pleasures. To dance and to puff on a pipe perhaps. These masks are often kept safety in a special hut. The Chokwe tribe of Angola use the ancestral mask of a woman to teach young women how to move elegantly and dress well.They can give identity to formless spirits. The African Ekine tribe paddle to distant waters to summon the spirits. Their masks are a combination of sea creatures, part of a crocodile and shark, for instance, covered in scales. 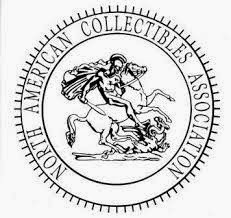 There are many mythological creatures represented by masks in North American ceremonies, for instance. The Kwakiutl of the North West, have a raven which opens to reveal a human ancestor. The Thunderbird is used in ritual dances, its snapping beak adding sound to the motion of the dances. Masks have a place in the ritual passing of time. They are a central part in initiation ceremonies of many cultures and are associated with all the personal rituals of birth, marriage and death. At important funerals in Indonesia, Africa and the Pacific islands, masked figures follow the coffin as a mark of respect. Throughout the world, the passing of seasons and cycles are occasions for the wearing of masks, for instance rainmaking, harvest, May Day festivals, when dancers would perform wearing masks. Several artists have been inspired by African tribal masks. Picasso had a collection of them. His work was strongly influenced by masks," says Siobhan Quinn, specialist in tribal art at Phillips, "particularly from the French Colonies, Congo, for instance." Their influence can be seen in his figures, in the mask like shapes of the heads with their long straight noses. "Because we are familiar with them in this way," Siobhan Quinn points out "masks like this are particularly fashionable." There are many hundreds of styles of masks coming from all the different tribes. "But" as Siobhan Quinn explains "there are two distinct categories of African mask. There are older pieces from the beginning of the century. Songye Kiswebe masks, with their linear decorations and angular, stylised design, are popular. Others from West Africa, such as Senufo or Bauli are too, because of their beauty. Dogon masks from Mali are also in demand. 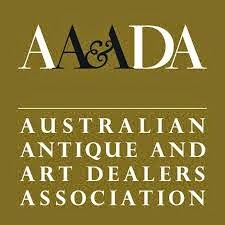 These older masks can be bought from around $500-$600 but their value increases if there is a provenance which shows when they were collected., Condition is, of course, important too." Siobhan goes on to explain "The other type of mask are those reproduced for decorative purposes. They are inexpensive replicas of classical types from Zaire for instance and are great for people to enjoy collecting masks but are not looking on them as a long term investment. They can be very dramatic and are generally sold in lots of half a dozen, each one worth about $50-$500" Few auction houses have sales of tribal art, but Phillips is one that has these sales three times a year. 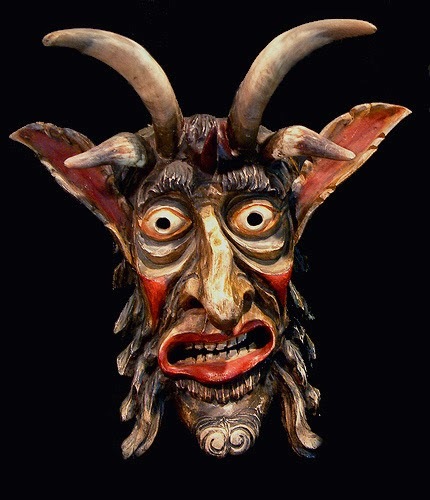 In the Western world today, masks are more likely to be used for fun and amusement. Who hasn't worn a mask at Christmas or Halloween? 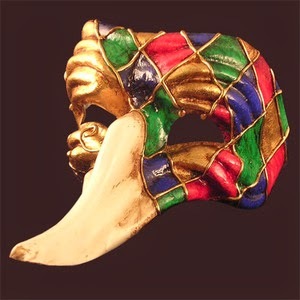 In many countries the liveliest masquerade takes place just before the start of Lent. From Venice to Rio, towns are turned into giant masked balls where participants wear a variety of masks ranging from the exquisite to the bizarre. The opulent Venetian masked balls as painted by Guadi and others, peaked in the 18th century when such outrageous mask. behavior took place behind hidden identities, that it was eventually banned and the wearing of masks became illegal. The tradition was revived in 1979 and since then, Venice at carnival time, when streets and restaurants are decorated with masks, and everyone is invited to join in, has become a popular time to visit. As a result the tradition of Venetian mask making has been revived. Designs ranging from traditional Comedia del'Arte to modern abstract are available at all times of the year and usually find their way into collections. the wearing of a mask puts the emphasis on the role rather than the actor. 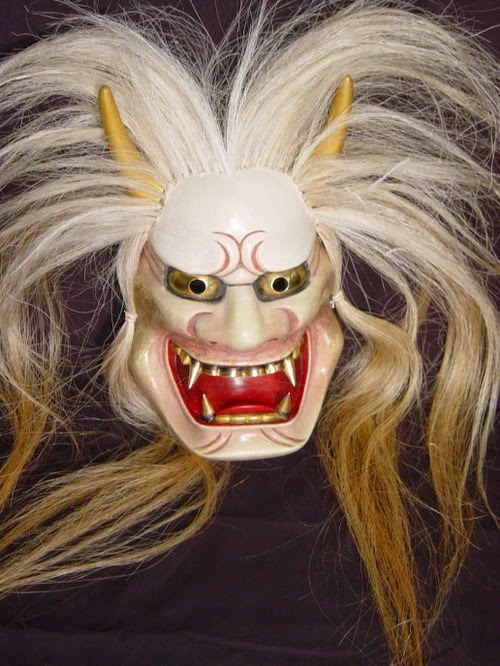 The dramatic tradition of wearing masks stretches back to Ancient Greece. We find evidence of Athenian masked dancers on fragments of pottery from the 6th century BC. , Many cultures have their own masked dramatic tradition. 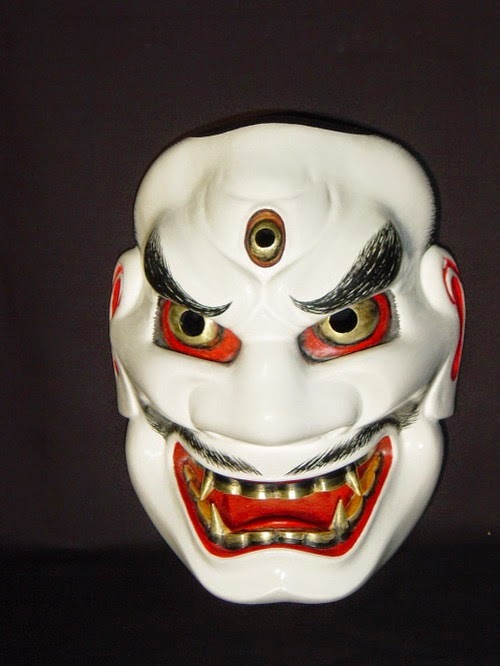 They are central to the Noh theatre of Japan. 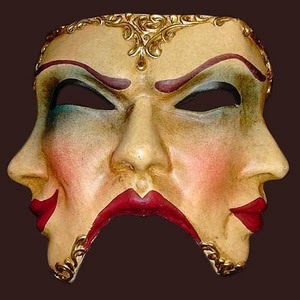 The actors are all male who wear masks for the female roles which portray the ideal of a beautiful woman. Made of light wood they are sensitively carved to convey emotion. However it is rare for these Noh masks to come up for sale During the Art Deco period, there was a fashion for ceramic or plaster wall masks. Clarice Cliff produced twenty different types between 1928 and 1939. 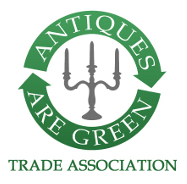 The current interest in herice work has seen a growth of interest in all kinds of Art Deco items, including masks. 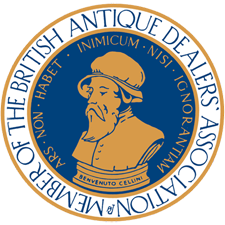 there are one or two in most decorative arts sales. "There are three names that everyone is on the look out for: Clarice Cliff, Lenci and Goldsheider. Also popular are those from an Italian firm called Essevi." It is the more flamboyant designs which are the most popular. "People are looking for brightly coloured, very outlandish ladies,"perhaps in a saucy pose or with orange hair for instance."